Established in 1955, the Clift Rodgers Consignment Shop is located on the second floor of the Library building. It is a major source of income for the Library. The Consignment Shop is noted for one stop shopping and features women and children’s clothing, jewelry, toys, kitchen and household items, linens and a nice selection of china and glassware. Only gently used and new items are accepted with 50% of the sale price going to the consignor. 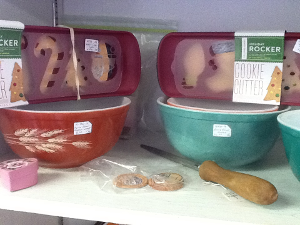 The shop has a markdown policy that after four weeks the item is reduced by 50%. There is an annual registration fee of $6. For those not interested in consigning, donations are gratefully accepted. Guidelines and consignment forms can be picked up in the Shop. For additional information call 781.834.4597. The Clift Rodgers Consignment Shop housed on the second floor of the library at 540 Pleasant Street in Marshfield Hills, is expanding its inventory. In addition to infant, children, and adult clothing and accessories; craft and cookbooks; toys; videotapes; CDs; linens; and bric-a-brac, the Consignment Shop is seeking artwork for its new gallery and some small pieces of furniture. It is urged that all consignments be in excellent condition to offer a real treat and bargain to the shop’s loyal customers. 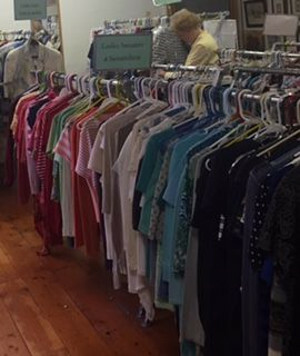 Volunteering in the Consignment Shop is a stress-free and enjoyable way for folks to donate a bit of free time for a worthy cause. This historic landmark, Clift Rodgers Library, benefits significantly from the major contribution and support provided by Consignment Shop funds. The shop is a meeting place for regular bargain shoppers and acquaintances, creating a friendly atmosphere in which to work. Volunteers also have the opportunity to view andpurchase the consignments when they arrive. the Consignment Shop and may be contacted by calling 781-834-7818.